This issue of Carfree Times is available in German. Thanks to Ulrich Nehls for the translation. Both the paperback and hardcover editions of Carfree Cities are widely available. The paperback edition costs US$17.95 in the USA and the hardcover $29.95. For details, see the Ordering Information page. Stocks of the hardcover edition are running low. Translations of the Introduction page at Carfree.com are now available in Dutch, German, Greek, Italian, Polish, Russian, and Serbian. Just click on the small flag at the bottom of the home page. Carfree.com thanks the translators. World Carfree Network/Car Busters is seeking an experienced fundraiser with a proven track record to join its Prague-based team full- or half-time as soon as possible, for a year or more. Should be familiar with the funding programmes of the European Commission, Council of Europe, and private foundations in Europe and abroad. Commission-based wage (10-15% of funds raised) plus start-up wage negotiable, good benefits. Send a CV and covering letter to info@carbusters.org. Car Busters Press is offering a 50% discount on orders of ten or more copies of Andy Singer's CARtoons and Ken Avidor's Roadkill Bill. For more information, see Car Busters Press or e-mail info@carbusters.org. In this issue, we will consider the question of future oil production rates and the effects of violence, increasing demand, and declining reserves. We will examine how Bush's war and terrorism may affect supplies in the years ahead. Then we will consider how to prepare for the coming supply limitations, which will be an opportunity to advance the carfree agenda, as this approach is the cheapest, most effective, and most pleasant way to handle any shortage. Historical and projected oil production in giga-barrels. "NGL" is natural gas liquids. That's rather a lot of difficult-to-develop and as-yet-unidentified unconventional oil. The IEA forecasts Middle East OPEC oil production to increase from 20 MBPD in 2000 to 45 MBPD in 2020. This might fall just within the realm of possibility if infrastructure investments in the region are pursued vigorously, which is not now occurring. Oil from the rest of the world is expected to decline from 47 MBPD in 2000 to 27 MBPD in 2020. When coupled with an increase in "Total Natural Gas Liquids, Processing Gains" from 12 MBPD to 21 MBPD, total production is projected to meet total demand at the 110 MBPD level. The US Energy Information Agency (EIA) projects that world conventional oil production will peak no earlier than 2021 and as late as 2075. This is about as optimistic a forecast as you can find these days, and it is based on the belief that 3000 giga-barrels of oil will ultimately be recovered. This figure is 50% higher than many researchers have reported. The Association for the Study of Peak Oil (ASPO) concluded at a recent meeting that conventional oil production will peak by 2010 and denounced the "politically correct" view that "near-term oil supply is mainly an economic and geopolitical concern." They also believe that the peak in natural gas production will come just 20 years after the peak of conventional oil. The people who [are] actually in the industry or in the government, the United States Geological Survey, Department of Energy, and so on, all pretty much have to keep their mouths shut. The USGS, for example, has given out official projections of global oil supply for the next 25 years that are really absurdly optimistic. . . . The USGS failed to foresee the 1970 peak in U.S. oil production and it’s utterly failing to see the global peak in production that’s within the next 5-12 years. People have argued endlessly how and when the looming structural shortage will first appear and what effects it may have. I think that the most plausible scenario is that prices will rise sharply when supplies become tight (which may already be happening, what with oil trading around US$30/barrel after having traded for about half that during most of the 1990s), and that demand will be curbed directly by the high price and indirectly by the resulting economic recession, just as happened in the 1970s. This would lead to the peak becoming a plateau, with relatively stable production for 10 or 15 years, before the final decline, lasting for decades, begins. Note, however, that stable production combined with rising world population yields less oil per capita. In this case, we're talking about money as it reflects the balance between supply and demand for oil. A great many factors will affect the level of this balance at any given moment. We will consider here only the most important. Until 1973, economists generally assumed that the demand for oil was highly inelastic, and that any shortage would drive prices to extreme levels. In fact, demand is much more elastic in the longer term than in the short term, so that huge spikes in oil prices in 1973 led, within a few years, to reduced demand and a subsequent softening of the price. Of course, in some measure, this reflects a switch to other sources, such as the substitution of natural gas for heating oil, which reduces the demand for petroleum without having much effect on total energy demand. In the 1970s, however, there was a pronounced trend towards energy efficiency that induced a break in the demand curve, which had shown consumption increasing ever more rapidly until the price shocks. Consumption at the level of the first demand peak, reached in about 1979, was not again seen until about 1988, a distinct break with the previous trend, which had been an approximate doubling every decade since World War II. The Kyoto Accords might have served to damp the consumption of oil had the USA ratified the agreement. Even though the treaty is technically in force, my sense is that few people are giving it serious attention; without the USA, it doesn't seem sensible to implement the treaty's provisions, which would certainly entail some economic dislocation for any society attempting to abide by the modest CO2 emission reductions the treaty requires. What else is occurring on the demand side? China seems to be motorizing as fast as possible. A recent article in Fortune, "China Goes Car Crazy," contains the following nuggets: "In 2002 passenger car sales topped one million for the first time. In the first six months of this year, China's new car sales surged 85% over the same period last year." Further, "Only one in 100 Chinese owns a car, compared with one in two Americans. But in the richest Chinese cities - Shanghai, Beijing, Guangzhou - annual incomes are approaching $4,000, the level at which private-car consumption shifts into high gear." If car ownership levels in China ever reach US levels, China's car fleet would exceed 600 million vehicles, which is more than today's entire world fleet. China's oil consumption would climb to staggering levels. Natural gas shortages in North America will prevent large-scale fuel-switching from petroleum to gas in the near term. It does appear, however, that there is still a lot of natural gas in the world, mostly in places where it is not presently needed. This ought eventually to induce the construction of more liquified natural gas (LNG) terminals and the specialized ships required for the transport of LNG, but this will take some time, and the terminals are regarded askance by many because of potential dangers. The process is also quite wasteful of energy. In the even longer term, some switching of electricity generation from LNG to nuclear may occur, notwithstanding the enormous public opposition to such a move. This would take at least ten years to have any appreciable effect, however. Comparatively little is happening on the renewable energy front, so we can all but neglect its near-term contribution. For years, OPEC nations have been comparatively ineffective in maintaining oil prices at levels high enough to provide a good life for their citizens. Security agreements between Saudi Arabia and the USA have led the Saudis to increase production whenever prices begin to rise. At this point, however, Saudi production may already be at maximum, or close to it. Soon, OPEC may once again corner the market and dictate prices to the world, as it did in the 1970s. The only thing the USA has to fear from Iraq is an escalation of tensions between the West and the Arabs. And that, alas, is the one thing Bush doesn't seem to fear at all. So Bush is going to "liberate" Iraq's oil and hammer in the wedge between the USA and the people who sit on most of the world's remaining oil supplies. Even if the morality of it doesn't make you gag, is this a smart thing to do? Whatever Americans may think about all of this, it's clear that the Arabs understand what is going on: the war was an oil grab. This is not going to improve their view of the USA, nor is the promised democracy in Iraq going to be realized any time soon. Iraqis are raging about the US occupation. To the oil-and-war stew we must add another ingredient: terrorism. Just what are the goals of the world's pre-eminent terrorist, Osama bin Laden? We cannot be certain, but it does seem clear that he has been furious about several things. Not much has to be said about this. The royal family numbers about 4000 people, all of whom expect to live in the lap of luxury and few of whom take any pains to conceal this. Of course, the royals have skimmed off enormous wealth from the oil revenue stream, which they basically consider theirs; anything they pass along to the people is merely a demonstration of their virtue and largesse. While it is impossible to predict the time and date of the fall of the House of Saud, a preponderance of evidence suggests it is inevitable. One of the greatest myths regarding Saudi Arabia is that it is a wealthy country. While it's true that Saudi Arabia has the world's largest oil endowment and a royal family that leads the world in conspicuous consumption, the country's financial health continues to deteriorate. The country's severe economic problems are a result of an exploding population and a lack of economic growth outside of the oil industry. . . .
. . . Saudi Arabia no longer has anything like the same oil wealth in per capita terms. Oil export income per capita was $2,563 in 2001, in constant 2000 dollars, versus $23,820 in 1980. The end result will be far more explosive problems with terrorism than exist today. The Saudi population has already more than doubled since 1980, from 9.6 million to 23.5 million. The UN estimates it will rise to 36.1 million by 2020, even with a significant cut in the birth rate. Saudi Arabia’s population is extremely young, – 53% is 20 years of age or younger – and the most unstable age group in terms of terrorism already has an estimated 25% direct or disguised unemployment and will increase from around 1.8 million today to 3.2 million by 2020. . . . The stunning decline in per capita oil income is being felt hard in Saudi Arabia and cannot engender the love of the people for the House of Saud, or for the countries that use cheap Saudi oil to fuel their prosperous economies. In general, bin Laden has attempted to undermine the US and Western economies, and he has been moderately successful so far. Enormous costs, direct and indirect, stemmed from the attacks of September 11th. By drawing Bush into a ground war in the Middle East, bin Laden has saddled the USA with huge expenses far into the future, leading in part to the current large budget crisis in the USA. I think bin Laden's present tactics are fairly simple: stir up trouble in the region while harming Western economies, especially the USA. Many of the attacks are doubtless opportunistic - explosives and martyrs available in a place with a target bin Laden considers useful. Many years ago, the CIA more or less inadvertently supplied Libya with 50,000 pounds of C4 explosive (about the most potent conventional explosive that exists), and some of this huge stockpile may be accessible to al Qaeda operatives. The recent destruction of the UN headquarters in Baghdad was accomplished using conventional military explosives that will probably remain readily available in Iraq for many years. Since America began its occupation, Iraq has become the mecca for every angry, hate-crazed Arab extremist who wants to liberate the Middle East from the "despoiling" grasp of the infidels. "Increasing numbers of Saudi Arabian Islamists are crossing the border into Iraq, in preparation for a jihad, or holy war, against U.S. and U.K. forces, security and Islamist sources have warned," The Financial Times said yesterday, quoting a Saudi dissident who noted that Saudi authorities are concerned that "up to 3,000 Saudi men have gone 'missing' in the kingdom in two months." America doesn't know exactly which of its ghostly Arab enemies are which, how many there are, who's plotting with whom, what weapons they have, how they're getting into Iraq, where they're hiding, or who's financing and organizing them. Echoing remarks by other officials, implying that it's better to have one big moment of truth and fight America's enemies on their turf rather than ours, Bush said: "Our military is confronting terrorists in Iraq and Afghanistan and in other places so our people will not have to confront terrorist violence in New York or St. Louis or Los Angeles." So that's the latest rationale for going into Iraq? America wanted an Armageddon with its enemies, so it decided to conquer an Arab country and drive the Muslim fanatics so crazy with their jihad mentality that they'd flip out and storm in, and then Americans would kill them all? By doing their high-risk, audacious sociological and political makeover in Iraq, Bush officials and neoconservatives hoped they could drain the terrorist swamp in the long run. But in the short run, they have created new terrorist-breeding swamps full of angry young Arabs who see America the same way Muslims saw Westerners during the Crusades: as Christian expansionist imperialists motivated by piety and greed. The destruction of the Twin Towers was a stunningly effective "Shock and Awe" attack. As bin Laden casts about for another shock-and-awe attack of similar magnitude, he could not fail to notice that the destruction of Saudi oil infrastructure, port facilities in particular, would be a mighty double blow, to both the House of Saud and to the nations that depend on Saudi oil. Bin Laden has shown a propensity and ability to attack waterborne targets, so attacks of this nature are surely within his means and his way of thinking. A coordinated attack that disabled the main Saudi oil terminals would be entirely in character, I believe. In a single blow, 10% of the world's oil production could be taken off line for months or even years. The world has never known an oil shock of such magnitude, and the effect on oil prices would be immediate and large. This event would knock the world's already stumbling economies into a tail spin, and almost certainly bring about the fall of the House of Saud (once deprived of the oil revenues that prop up the regime), leaving bin Laden an opening to take control of Saudi Arabia and its oil riches. He could be expected to institute an Islamic Wahabi republic that would be exceptionally hostile to the West. This is a scenario that should have intelligence analysts everywhere losing sleep. The march began at a mosque in the Shiite neighborhood of Kadhimiya, where the cleric, Sheik Raed al-Kadhimi al-Saadi, urged the group to avenge Ayatollah Hakim's assassination. "Death to the Baathists," he said. "Death to Saddam's men." Maybe this is all the work of dark players at the CIA, deftly pitting one faction against another. Somehow, I doubt it. But where will all of this lead? If disorder escalates another notch, as now seems to be occurring, Iraqi oil may stay off line for years. I think that the chance of a significant oil shortage in the next three years, from any one of several possible causes, is quite high. Aside from turmoil in the Middle East, there is recent or ongoing turmoil in Nigeria and Venezuela, two major oil producers, the latter especially important to the USA. Given that we are near the peak of oil extraction and that there is very little, if any, spare capacity anywhere in the world, we are once again as vulnerable to an oil shock as we were in 1973, perhaps more so. Advocates of less car-intensive living and working arrangements need to be prepared to move quickly when an opportunity arises. We need to have proposals ready to go on short notice. These should include actions to reduce gasoline consumption (more and longer carfree periods, with real enforcement). We should also be prepared to offer a number of consumption-cutting strategies, including higher fuel taxes (which will be a hard sell at a time of sharply rising fuel costs; we can take the position that the price increases should be permanent, and that any reduction should be collected in the form of higher taxes). Finally, we should sketch out carfree development proposals in every city in which a small team of activists can be gathered to search for prospective sites. These proposals should be submitted when ready, so that they can be cited when a fuel crunch arises. When seeking a site, always keep in mind that a brownfield site (former factory, etc.) near city centers and of a size not smaller than 50 acres (20 hectares) is suitable, as long as the site has decent public transport service. Such sites abound in the rusting cores of most US cities and are sorely in need of redevelopment. Many of these sites have soil contamination issues, but they must eventually be cleaned up in any case, so the costs of clean-up should not, in principle, fall on those doing the redevelopment. Many of these sites are not considered very desirable, and so the sites may be available at a fairly low price (given how close they are to the city center). We should not pretend to certainties on the basis of poor data. The circumstances of oil supply are shrouded in secrecy and intrigue, and we must never forget that no one can accurately forecast future production rates for oil, beyond the obvious facts that supply is finite and that production will some day begin a steady decline. We do not want to found policy changes on the assumption that energy will forever more be in short supply. Breakthroughs in nuclear fusion and advances in sustainable energy could some day bring a return to plentiful energy supplies. Volkswagen has already road-tested a car that gets 235 MPG (1 liter/100 km). Extreme increases in car efficiency are certain in the face of sharply higher fuel prices. The relatively fuel-efficient "econo-boxes" (Volkswagen Rabbit/Golf and its imitators) of the late 1970s and early 1980s were snapped up by buyers tired of spending so much money on fuel. We must attend to the problem of ensuring that gains that are made during a fuel crisis are not abandoned as soon as the crisis passes, as happened following the fuel shocks of the 1970s - most of the gains made then have since been lost. So, think hard about what to do when some crisis, or simply the peaking of supplies, makes automobile fuel difficult or expensive to obtain. If my analysis is wrong, not much harm has been done, and some preparation will have been made to pursue other avenues towards carfree development. If it is correct, then we must seize the opportunity the instant it arises. In 1900 just 15% of the world's population lived in cities; today it's 50%. In 1990 there were 12 megacities (pop. 10 million), today there are 20. In Monrovia, Liberia, 42% of the population is squatters. On average, automobile-related space occupies a third of urban areas. China is replacing city farmland with concrete, and importing more food. Sprawling auto-centric Los Angeles occupies three times the area of comparably populated New York City. A resident of a typical dense Dutch city produces half the CO2 as a resident of a typical sprawling Canadian city. In Curitiba, Brazil, some 70% of trash is recycled or composted. "Urban Ecology: Emerging specialty puts focus on the 'green' way cities could be"
The US Department of Transportation reports that without new sources of revenue there will be a US$30 billion annual shortfall in maintenance and construction funds for US highways. While some transportation leaders in Congress favor a small increase in the federal gasoline tax, currently 18.4 cents/gallon, neither the Republican House leadership nor President Bush will accept any increase. A similar level of resistance prevails at the state level, despite recent increases in a few states. Gas taxes have fallen far behind inflation and would need to nearly double to reach the level, in real dollars, of 40 years ago. Gas taxes cover only 35% of US spending on roads, with vehicle taxes and tolls making up another 24%. Most of the remainder is subsidized from property taxes, bond sales, and general funds. If heavy weight trucks had to pay their true cost in roadbed wear and tear, costs would be more fairly allocated among all types of vehicles, but this would come at the cost of the heavy subsidies that the trucking industry now enjoys. The talk is turning to use-based charges in a nation where practically every government is facing huge budget deficits. Surveys show strong support among Americans for improved pedestrian and bicycle facilities. In a Gallup poll, 73% of respondents believed that communities should provide bicycle-specific facilities such as trails, paths and traffic signals, and that 75% believed that changes were necessary to improve and expand pedestrian facilities such as sidewalks, signals, and crosswalks. A poll conducted for America Bikes found that a majority of Americans want to bicycle more and 53% are willing to invest public funds in creating a better bike infrastructure, even if it means less money for new roads. Additionally, 50% supported requiring roads to include bicycle lanes or paths, even if it means less space for cars and trucks. A recent STPP poll that found that 68% of Americans favor spending more federal money to improve walkability. "Americans Favor Increased Investment in Pedestrian, Bicycle Facilities"
The Nanyingfang district in Beijing will be levelled to build offices, apartments, and stores. The old inner-city neighborhood is home to thousands of working-class people who have lived there for generations. While no great buildings will be lost to the jackhammer, what will be disappearing is a deeply-rooted community. The residents will probably be moved to new high-rise apartments on the fringe of the city, but what they fear is the loss of their community. "This is the old style of living, where everyone has to live side by side so you're always running into your neighbors," said Pang Hongsheng who, like his parents, grew up in Nanyingfang. "In those new apartment blocks, if you live on the first floor, you wouldn't even think of visiting someone on the sixth floor. Nobody here wants to leave because relationships with their friends and family will become a lot weaker, and people will be more isolated." The old neighborhood is full of life, and children play in the maze of lanes that are wide enough for carts but not for cars. "Sadly, There Goes the Neighborhood"
The World Meteorological Organisation thinks the world's weather is going haywire. An unusual and startling report from the WMO highlighted record extremes in weather and climate occurring all over the world this summer and linked them to climate change. The warning comes from a highly respected UN organization not given to exaggeration. The Geneva-based WMO believes that events this year in Europe, America, and Asia are so remarkable that the world needs to be made aware of them immediately. The extremes, heat and cold, rainfall, and storms, in different area of the world are consistent with predictions made for global warming. Models show that the climate not only becomes hotter but much more unstable. Southern France saw record temperatures of 5C to 7C above the average. Switzerland had the hottest June in at least 250 years. The United States experiences 562 tornadoes in May, setting a record for any month. The previous record was 399 in June 1992. India's pre-monsoon heat wave saw peak temperatures of 45C, some 2C to 5C above the average. The increase in temperature in the 20th century is probably the largest in any century during the past 1,000 years. 2003 may turn out to be the hottest year ever recorded. The 10 hottest years in the 143-year-old global temperature record have now all been since 1990, with the three hottest being 1998, 2002 and 2001. "Reaping the whirlwind: Extreme weather prompts unprecedented global warming alert"
You know your neighbourhood better than anyone. You also use your neighbourhood more than anyone. So why are the public spaces that make up your neighbourhood managed without accessing your detailed local knowledge? And why don't you have more say in what the priorities are? These are the questions that vexed the UK's national walking and public space charity, Living Streets. As the Pedestrians Association we have been campaigning for streets and spaces that people on foot can use and enjoy for over seventy years now. In the 1930's this meant lobbying for some real basics - we pressed for the very first speed limits and driving tests in the UK. But in response to these demands, legislators increasingly came to see automotive safety as the sole concern for pedestrians. Solutions to the pedestrian 'problem' (they got in the way of cars) would often discourage walking entirely, whether by design or default. The benefits of walking to individuals and communities - and the physical conditions that underpin them - were largely ignored. 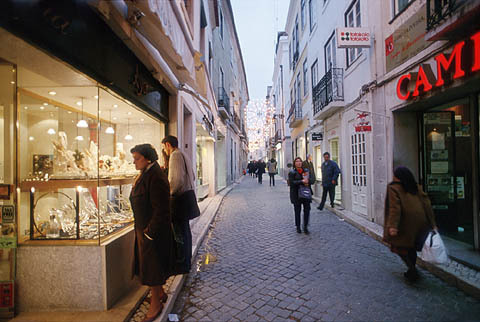 Streets and public spaces that totally failed to address the needs of people on foot, but were ostensibly safe, would often be the best pedestrians could hope for. So the Pedestrians Association became Living Streets, and broadened its scope to emphasise that walking is much more than transport - it revitalises neighbourhoods, it reconnects people. Living Streets developed Community Street Audits - a tool for plugging in to the detailed knowledge local people have about their own neighbourhoods. These audits simultaneously extend local understanding of how public space works and how it might be improved. Commissioned by the local authority, we walk a neighbourhood with local people, assessing how well it serves the needs of people on foot. We find out what their concerns are, and we suggest ways to resolve those concerns. Locals often have a clear sense of what the problems are, but not the faintest idea about the innovative ways in which other communities are resolving them. Best practice elsewhere in the UK (Hull's extensive 20mph zones, for example, or the removal of pedestrian guardrail in Kensington, central London, in the teeth of opposition from traffic engineers on spurious safety grounds) can be both enlightening and empowering. Good ideas can come from further afield, too. In Balham, south London, we watched people dashing across a junction to catch their trains to work. We suggested a US-style four-way stop with diagonal crossings, and now Balham has the UK's first double diagonal crossing. Before the audit, nobody in the neighbourhood knew this was even a possibility. But innovation isn't everything. Too often, local councils who commission an audit want original solutions. But, for local people, clean streets and smooth footways are always top priority. Innovation works when it comes from a genuine need, identified locally (like the Balham example above) - rather than the need to be seen to be different. The number of new public realm schemes with 'cutting-edge' pedestrian signage, which fails to deliver on the basics, is exasperating. Illegible, ambiguous fingerposts do nothing to aid navigation, and the brushed steel columns supporting them are much too difficult to see in low light conditions (or at any time for the visually impaired). Audits show that simple solutions and attention to detail deliver walkability, rather than style over substance. Smooth, well-maintained footways may not excite local politicians, but they're a basic prerequisite for walking. Local pride for public space is the most important ingredient in creating walkable communities. Pedestrians are the very best place managers - and they do the job for free. Before an audit, councils often perceive locals who actively press for public realm improvements as obsessive whingers. Afterwards, these same people have a much broader understanding of what makes for walkability, and become a genuine asset. For example, residents often set a good example and cut back their overgrown hedges immediately after an audit, having discovered these are the number-one obstruction for guide dog users. And the exposure to the sometimes-conflicting needs of different users creates a better understanding of the need to prioritise. Basic accessibility for wheelchair users often seems much more important once you've watched a neighbour struggle up a kerb, for example. And zero-tolerance for dog-mess, while a laudable aim, takes a back seat when you discover that the fear of tripping over on a broken paving slab can effectively trap older neighbours in their homes. Community Street Audit solutions are based on local needs - and the variety of responses from different communities to similar problems can be surprising. We found that the presence of graffiti generated outrage in Bedford (a traditional market town), while in Deptford (an inner urban neighbourhood) locals were largely indifferent. In Walcot Street in Bath (the artisans quarter of a World Heritage Site) graffiti was a cause for celebration. Living Streets believes that clean streets feel safer than spaces scarred by graffiti, but it is clear that almost everybody recognises the artistic merit of some graffiti. Councils should address graffiti removal with a sensitivity based on the responses of local people, not simply follow a formulaic approach based on nationally identified norms. Too many local authorities are trapped in a vicious circle - they do not want to be seen as anti-car, yet they are unable to stop looking at cars as the problem. The walking strategy documents of many local authorities say little about encouraging walking for its own sake, and a great deal about walking simply as a 'cure' for excessive autophilia. We must separate walking from its alter-ego of car-dependence, and recognise the unique role it has - it is much, much more than just a transport alternative. Walking is exercise for overweight nations. It is the glue that binds communities together. It is the climax to every journey by whatever mode - whether social, economic or leisure. And it is a skill we spend the first year of our life learning, and, too often, the rest of our lives taking for granted. Living Streets says: Ignore cars, celebrate walking instead. Don't worry about failing to deliver on the big promise of rolling back excessive car-use, get started on the small promise of encouraging walking - right now. It is time to make permanent changes in our infrastructure with carfree zones, if we are to eliminate air, noise, and visual pollution that have drastically compromised our health. If any progress to improve our quality of life is to be made at the local level, it will be done only by creating a people-friendly urban environment. Stop this one-day a year party, the so-called carfree day, which has accomplished nothing more than being just that. It has been blatantly counter-productive and totally ineffective in US and Canadian cities, by encouraging tokenism and impeding progress towards a sustainable infrastructure. Our automobile-accommodating politicians have been only too eager to play this futile game and placate the naïve and wistful into thinking they are making environmental progress when no progress actually occurs. Carfree day has been a political excuse for hypocrisy and duplicitous excuse for taking no action. Consider the debilitating smog and gridlock in our cities. The social and economic benefits of reduced traffic and air pollution have been virtually ignored. Politicians in European cities and around the world celebrate carfree days, but they also have auto-free zones, demonstrating an innovative and progressive vision. In contrast, the North American skewed perception of politicians and the powerful auto and oil industry lobbyists who have presented the automobile as the pivotal mode of transportation for decades, does not promise gradual progress. Only a permanent and bold change has encouraging possibilities. It is time for the public to take action by planning carfree zones in their area and demanding implementation through political channels. We have been reduced to viewing endless rows of cars, poisonous exhaust fumes, and excessive noise as necessary components of a livable city. They are not. In fact, they are destructive, as they have dehumanized our streets and communities. The emphasis on solely economic development has warped our priorities and values at the expense of public concerns and deteriorated infrastructure. It is a socially and economically balanced environment that creates livable and civilized cities. Carfree Times now receives so many books that routine reviews have become impossible. Instead, we will endeavor in this section to mention interesting new titles soon after their release. The book is divided into three parts. 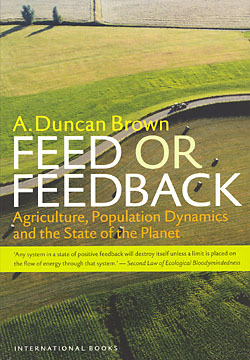 The first deals with development of agriculture and its effects on sanitation, public health, and population dynamics. Part two discusses adverse human impacts on the planet. Part three outlines some responses to mitigate the worst effects of those impacts. It considers obstacles to rational responses, with some aspects of human behavior being the greatest obstacle to dealing with these problems. Cervero is one New Urbanist who has kept "urban" in the movement. This book focuses on Transit-Oriented Development (TOD) and is one of the most thorough treatments of this topic. (The approach is not carfree, however.) 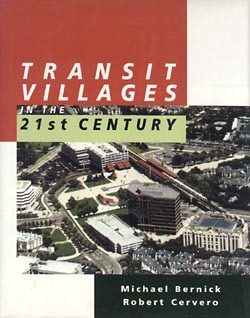 The book considers the history and future of transit villages, the rationale for building more of them, transit preferences and transit systems, case examples of TOD (four in the USA and plus Stockholm, Tokyo, and Singapore), and a consideration of the practical issues of building TOD projects. Useful and well prepared, except for the lousy binding. Making California Possible: The New Colonist Outlines Urban Issues. . . The next issue of Carfree Times is scheduled for January 2004. The delayed Active Living issue is planned, but events may overtake that intention. There will also be a Feature Article on local mobility using slow automated vehicles. In this day of corporate-influenced media, it is perhaps incumbent upon Carfree.com to declare its ownership and source of support. Carfree.com is wholly owned by Joel Crawford, the legal name of author J.H. Crawford. Its operation is entirely financed by J.H. Crawford. It generates no revenues directly but does help support sales of Carfree Cities. Carfree.com occasionally accepts review copies of books but makes no commitment to review such books, whether favorably or not. J.H. Crawford receives no commissions from the sale of books mentioned on Carfree.com. Any change in this policy will be announced in this newsletter. The views expressed at Carfree.com are entirely those of J.H. Crawford, except for articles, letters, and editorials that carry the names of other authors. The inclusion of these signed texts is at the sole discretion of J.H. Crawford, who does not necessarily agree with the views expressed. All other content, except quoted material, is written by J.H. Crawford. E-mail announcements of new issues of Carfree Times are mailed to approximately 900 subscribers. This mailing list is not shared for any purpose. A rough estimate of first-year circulation for each new issue is 5000. Carfree.com as a whole serves over a million pages a year.